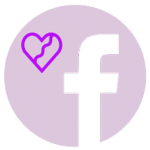 ​We have created the private LLOST Facebook Group as a community of support for those dealing with the loss of a loved one to sudden tragedy. In the past we had online forums, but found the Facebook private groups provided the forum for our community to support each other and have completely transitioned over to using that group. ​The family forum on the RememberingB website, www.rememberingb.com, was developed by Vicky Niblett shortly after the death of her youngest brother, Brian Hilliard. Our family could be found on the forum all hours of the day and night. The forum quickly turned into our emotional support group. Sometimes, the forum was the only thing that got us through the day. We felt the comfort of knowing we weren’t alone. As word spread through our immediate community about the loss of Brian, others began to join the forum. Then, it wasn’t just about Brian, it was about their other losses too. The forums on the www.rememberingb.com website have been phased out at this point and we have moved onto using the private LLOST Facebook Group. At this time, you may contact us, with your email address and we will add you to the private LLOST Facebook group. Copyright © 2018 LLOST Foundation. All rights reserved.